Gomera Walking are pleased to announce our new schedule for next season starting in November 2012. This year we are planning to run a total of 9 weeks between November and April with six Premium Package weeks based in the luxury Hotel Jardin Tecina overlooking the picturesque village of Playa de Santiago. We will also have 3 weeks of our well established Popular Package based in self-catering apartments in San Sebastian. Both packages represent very good value for money with prices held for another year at €899 for our Premium Package and €699 for the Popular Package and including accommodation, food, ferries, transfers and 5 days guided walking. For full details of what's included please click here. 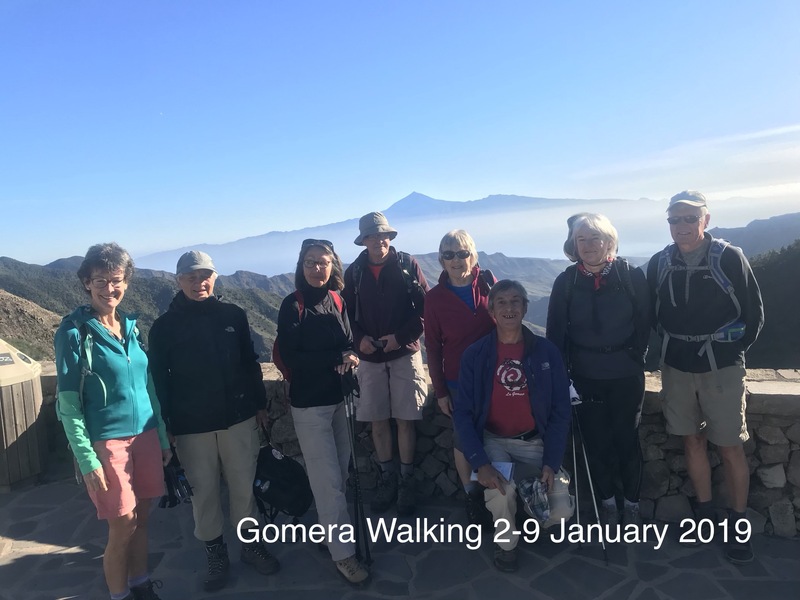 If our schedule doesn't suit your available dates, you don't want to walk for the full 5 days or for any other reason you want to come to La Gomera independently we are offering for next season the possibility to customize your own trip. Let us give you a quote for accommodation, ferries, transfers, food and walking if required. By the way we still have some places left for the last holiday of this season 10th - 17th April 2012. Contact us for details. We've had such a good response to our recently introduced Premium Package based in the luxurious 4 star Hotel Jardin Tecina that we have decided to add an additional week from 14th - 21st March 2012. There are only a limited number of places and we will allocate them on a first-come first-served basis so if this is of interest to you please contact us as soon as possible. If it's our Popular Package which takes your fancy then the next availability is 29th February to 7th March 2012. Either way if you're interested in winter walking it's best to contact us now. La Gomera is not best known for its beaches but has just won a prestigious award for their excellent state. 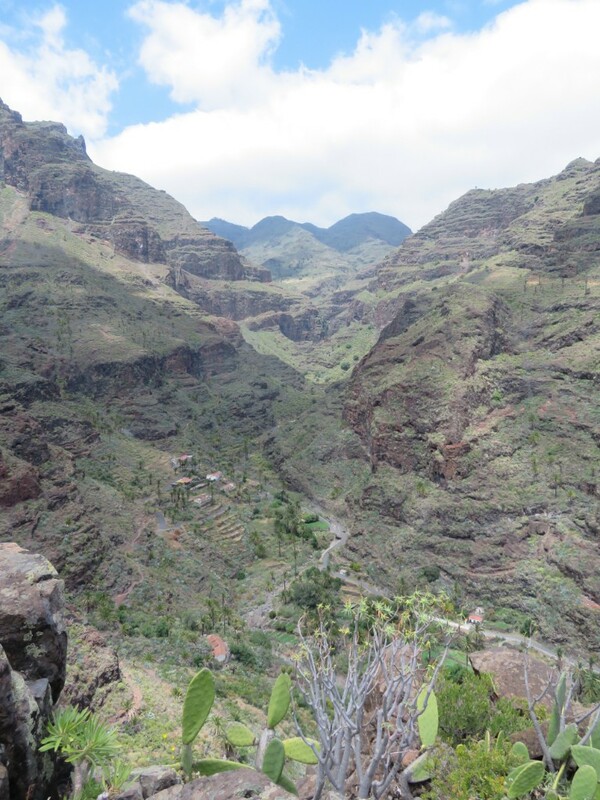 Why we like walking in La Gomera! Regrettably the Gods were not kind to us and our climb became an endurance test in lashing rain with zero visibility. Gavin & Damian (optimistically attired in T-shirt and shorts!) took less than a hour to reach the summit with the rest of us following at a more relaxed pace took an hour and a half plus 45 mins back to base. Everybody gritted their teeth and completed the course. Fair play to Peter, Tanya,Joe, Marie and Paddy for their determination. The Best Part!! Pints and feet up in the bar in front of a log fire...in July! !Then came the best part...a hot shower & change into dry clothes in nearby Danny Minnie's hotel/restaurant followed by a few pints, an excellent dinner and plenty of reminiscing. Very wet Marie & Joe completing the climb for charity. Well done the pair of you! Nearly there..no point in turning back now!! What it should have looked like! !